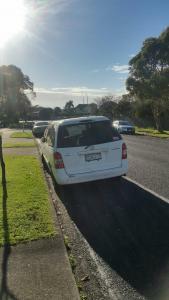 There are three vehicles parked in Bradbury Road Botany Downs between Number 11 13 15 and sometimes on the opposite side of the road,it appears they are owned by the same person who does not even live in this street,each vehicle is moved from time to time and parked in a different spot but still in this area,this situation is preventing owners or visitors to park are visit tenants in area mentioned.Mazda MPV BDN372 NO WOF. TOYOTA CAMRY XM2450 NO REGO. AUDI LAL282 NO REGO.